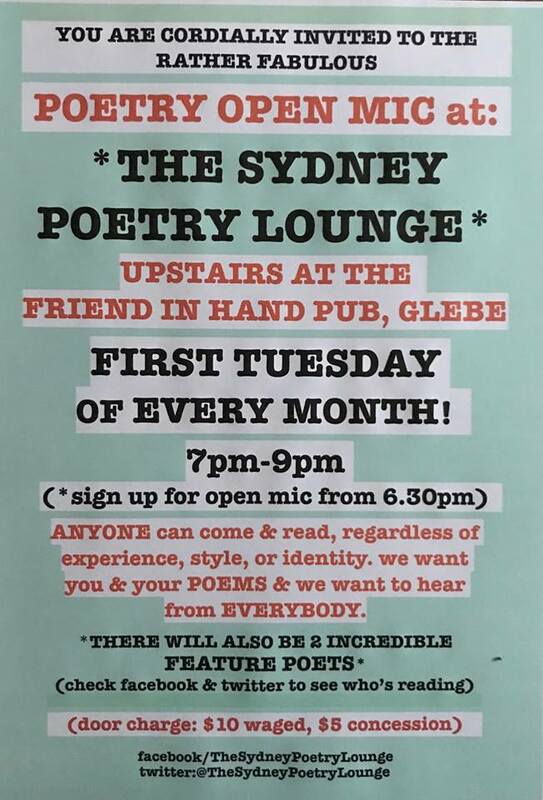 I’ll be a guest speaker at the next Sydney Poetry Lounge on Tuesday 1st May, alongside the excellent Anne Casey. This is a new event, organised by Ali Whitelock. The May event will also be the launch of ‘AUTONOMY’, an anthology of women writers, curated by women’s rights campaigner Kathy D’Arcy. Funds from the sale of this book will go towards ongoing campaigns for women’s rights. I will be reading out some golden oldies, as well as a couple of recent poems. See you there.